In every part of the world manners vary by culture, customs and even religion; and some can be very strange. If you plan to travel to a remote, you should read the strange rules and table manners. Older people in many cultures are respected and even revered; but in South Korea this respect is carried to the table and is older people who should begin to eat, to eat before it is considered a lack of respect. If you are left-handed and travel to the Middle Eastern countries, some Africans already big part of India, you will be in serious trouble. 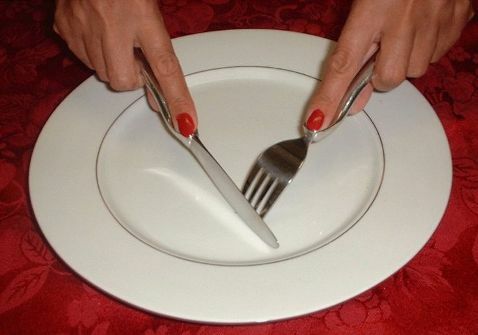 Since it is forbidden to eat with the left hand, this is intended to personal hygiene. If you are left-handed, it is better to apologize and eat it later (alone). In the West it is distasteful slurping soup or noodles; whereas in Japan the more you slurp noodles is better. Slurping noodles in Japan shows that the food is good and appreciated the cook. In Italy, pizzas is for everyone, not shared, obviously are personal choices and not the round that we all know; do not ever ask for extra cheese, it can be taken as a rude gesture. In many places in the table always we find a salt and pepper shakers; but if you go to Portugal, you will not find it. Ask for salt or pepper in Portugal, is the same as saying that the food is bad or tasteless. In the land of the rising sun there is a habit that should not be filling your own glass, do it as betraying himself of that you wants a lot of alcohol. The right thing is to serve the person who is next, and expect the other will serve you. Clean your plate; it is definitely a sign that you liked the food, perhaps passes a piece of bread to finish with all. But in China you should not do, because it is a sign that you served little or remained unsatisfied. If you go to France who pays the bill, you pay all. It is considered bad taste to split the bill or talk about money on the table. The right thing is to offer to pay the bill or have someone do it for you (if you’re lucky).